Home Composite Fillings Is the Blue Dental Curing Light Harmful? 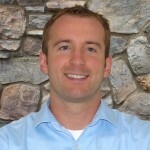 I’ve had braces 3 times – once for straightening purposes and the other two fro TMJ correction. I’ve had that light in my mouth so many times that I can tell you definitively that yes, it hurts, and has burned me so often that I’m now afraid of it. I have a loose permanent retainer in m mouth that’s separated from a tooth in the back and I’m afraid to get it fixed – again. It was broken before and I recently had them fix it, and again the light burned my tooth. Turns out they did a crappy job and it’s broken less than 2 weeks afterwards. I wonder if there are additional concerns due to repeated exposure. Hi JB – I’m sorry to hear that. All that dental work can’t be very fun. Some of the older lights we have at the school (used mostly for our fake mannequin teeth) use an older halogen bulb that can get hot. The lights have big fans in them. However, the newer LED lights that we use on patients don’t seem to get hot. Have you talked to your orthodontist about how the light is burning you? They may be able to try a different light or something else to reduce your pain level. Hi Tom, I had a root canal done today, the dentist assistant accidentally shined the blue light in my eyes ..is it dangerous? Hi A – I have looked at the blue light before. It seems pretty similar to looking at the sun. It’s not recommended, and doing it enough will likely cause some damage. I don’t think one small exposure is anything to worry about too much. Is the damage you speak about to the eyes permanent? I ask because recently I’ve been having major work done and even though the assistant is being careful about where the light shines it still ends up blinding me because all the work is being done on my front teeth, upper and lower and the intensity is much worse while the work is being done on the upper teeth. Is there anything that can be done to protect the patients eyes while these lights are being used to cure the dental materials? Do they make glasses that a patient can wear while this procedure is bing preformed to protect their eyes like the dentists and his assistants are by the orange filter? just get some tanning goggles, you can prob get a pair for a couple bucks at a local tanning salon. Yes they do make some protective glasses the same orange color as that guard if you are that worried about small amounts of exposure. We use them in our dental school down here in Peru. I think mostly the danger of eye damage would be to a professional who looked directly at the light repetitively for years ….. This may sound crazy so just bare with me. You could close your eyes. Critical thinking! I’m a dental assistant and I find this article very useful for those that are not familiar with dentistry. The blue light does hurt your eyes. I have looked at it by accident a couple of times and I would compare it to looking directly at the sun. It leaves you blind for a few seconds. As far as hurting your teeth or causing discomfort Im not so sure. I have never had a patient that complains about the light. Some curing light are set on periods of 10 seconds and some materials require more or less curing time thats why we have to keep pressing the button a couple of times. Great research! TThank you. I have been told I don’t grind and where the teeth are worn or shaved off my teeth do not touch there. Reason for non/ grinding as I cannot breathe thru nose since intubation from surgery. Been using using pro/enamel by sensodyne forever, for 6 months that prescription toothpaste 5000 and biotine rinse. Still sensitive, throbbing. Last night had to use ice pack. My neck glands are swollen. I thinkni have trench mouth or lock jaw with all the changes altering my appearance. Difficult to speak. Saw a dentist yesterday that says its an Auto immune problem. She did a test for DNA to check bacteria and used a laser at all gun lines. Pain is unbearable can hardly chew. Bite all off. Teeth all shifting. Dentist that filled and capped molar did not do a cleaning first and I think it is bacteria. Speech is being impacted by this dental pain. I was wondering if you think that a blue light can actually cure gels for nails? I am willing to try it as I’ve changed a few things in that industry already, the blue light is very intriguing to me. If I wanted to try such a light, what level or strnght of blue light should I go for? The blue light causes an initiating agent in the composite resin we use in teeth to start a polimerization reaction to harden the composite. So unless your fingernail gel has a photo-initiator that is affected by the same spectrum of light as composite resin for dentistry, I wouldn’t try using the light on fingernails! All of my teeth are sensitive and I cannot even have room temperature water without it causing discomfort. Had a rough cleaning in March 2010, always had good teeth went 4 times a year for cleaning as I was a public speaker. I was with this dentist for 31 years. I think I had a stroke and was moaning during the cleaning and I asked what did she do. She assured me it was only the polish I was spitting out. After that food started tasting bad difficulty swallowing, thirsty. Drink of choice water. In June I had cleaning by the same hygenist rough also and c heck up by the dentist and told him of this sensitivity in all my teeth and the translucenY and that my old fillings seem more pronounced and one was scratching against my skin. Teeth also felt sharp. He said we should wait to do something as I had recent gall bladder surgery. Well the sensitivity kept getting worse and my teeth looked larger and I. And I could see that they look like they were shaved off–deep creases like they were ironed and thin at bottoms and center of each tooth with thickness close to gum line. All teeth have yellowed. A week after June cleaning thick calculus build up on bottom front and back 4 center teeth. Noticible as coloring change to yellow with dark spots in 2 front teeth like x’s. I went back to see him as I don’t want to lose them and asked about bonding or veneers. He said they would all need to be capped because of thinness. I asked if we can discuss this with spouse and he changed his tune that they would cap when I deem necessary. He asked me to get someone else to look at them which I did. Dentist side I look like I got hit in the face with a baseball as they all 28 teeth have craze lines and to go back to him. I did and found he fired Hygenist. At this time I pleaded for the one cap on bottom right molar and he still wanted to wait. In dec 2009 told him food sticking to all teeth, pain in lips. He tried to say the other discoloring is normal. I told him pain not normal and to start to get approval from insurance to cap. Well in the long tin saw this other dentist who promised pain free dentistry and he says all of my mer hey fillings are. Racked and he did bottom right and upper left in 2 sittings now my bite is off every tooth is painful. Air is painful, facial swelling, dryness mouth sores from teeth shifting, pain in the fillings and cerac cap he did. Major hair loss deviated September and pain in my whole face now including my breastbone. Had cleaning using water light scraping and new fillings look like they are chipped, holes on top and backes of teeth, lips hurt teeth, gums swollen. Painful just touching with toothbrush need to floss. Instantly and gloss getting hung up in all teeth. Bite is all off and face has changed. Still have fillings with cracks in 2 other sides but this guy did not do the bands around the tooth or the blue light or put the lining down before filling. I think I have Tmj now because after the second session on upper right done sensitivity in increased. I cannot understand why all my teeth would go at once aFter being a regular. Is there any special dentist I should see. Saw a periodontist and he said I don’t clean then as I think I did. I stopped using sinocare brush due to pain. Using extra soft brush. Rinsing is painful. Do you think all my teeth need to be removed? Thank you. The pain is effecting my eating ability and speaking. Sounds like you are early stage psychotic, moving towards schizophrenia. Have you tried a humidifier for your dry eyes and nails? Do you ever brush your teeth; or floss? The pain does not seem to be interfering with your spamming this blog. I doubt any dentist would want to deal with you very long. Sharon, yes I brush and floss. Had beautiful teeth. Used sonicare. Now it is painful to open mouth nothing tastes good and face is distorted. Was with my dentist 31 years. He fired Hygenist who went crazy on me said i needed to cap all teeth. I said lets start as all were sensitive he said wait. Then they got very bad and i had restoration work by another dentist who did without cleaning. Sharon, pain is very severe. You can see all the cracks in teeth. Teeth protruding. With length of time you are right that no one wants to treat. Because I don’t heal that good it may be a danger for them to remove as I have complications from gall bladder surgery.. My lips have been protruding and now they are hanging down. Shifting unbelievable. Have those benign lumps in head from X-rays, thyroid nodules, brunners gland hypo plasma on esophagas, as well as malabsorption for not being able to chew and digest food. Yeah I may sound crazy but income tent doctors and dentists put me this way. Speaking us being affected by teeth and facial paralysis. 28 teeth all sensitive, to every thing including air. sounds like you are grinding your teeth and have gum disease. see another periodontist, try sensodyne for a few weeks. get a bite guard for at night. Teeth pain too extreme. Over the counter meds don’t help; was given prescription for pain but it made me nauseous and did not help with pain. Live in NJ and need a Plan as all my teeth are sensitive. Mouth has a bad odor, please if anyone has any suggestions. This is the 21st century. No one should be in pain 24/7. Swollen and skin just hanging from my facial bones. NJ will travel tri-state area for treatment and help. My dentist of 40 years abandoned me after he fired the Hygenist that did this. Since then I had fillings replaced. It that work was done properly no cleaning before a 3hour torture treatment where 1 tooth cut off and a cerac crown glued on top mercury filling was left underneath crown. He did 2 hours on other side and now jaw all out of whack, teeth all shifting. What that Hygenist did to me was criminal, i should have called identist in, dentist did not check after cleaning.please if. Dentist is out there please contact me. My dentist fixed mine..with similar dentist caused issues..he is the best thing that’s happened to my kids and i.. if you are interested.. get in touch..his name is dr. Pham.. Altoona pa..
I’ll tell you – if you can look into this issue, really dig into the research and find a solution to this very common emotionally upsetting (to most) situation, I think your practice at whatever point will flourish. Craze lines. Veneers and bonding is invasive. I read online from someone who claimed a DDS used a laser on them and got rid of them with no collateral damage. I have a much bigger issue I’ll write about later, but, this has caused public embarassment for me (front tooth). Non-staining, a bit more obvious than mild – in sun, easily seen, in intimate distance, visable. Casual – unless you’re looking for it, probably not but does show in pictures. That’s a problem. Thank you. My teeth look blue and green, with white marks from rough scaling. When I drink water my lips just peel off. I think I did get brain damage from rough cleaning and then had gall bladder surgery on top of that, which deformed me further. This other dentist wants to make appliance for Tmj. Teeth are painful now nose is Painful as well as cheeks and neck. Someone must know someone I can see in tri state area. Stomach problems leave me limited on what I can take for pain. Difficult to sleep due to pain. My sister said I can go get shots to get rid of pain. Wouldn’t this be unsafe. Has about 4 hours sleep via sleeping pill which is bad but it dulls the pain. I hate Randy Abeles the Hygenist who ruined my teeth. Dental plan paid for 2 cleanings a tear she talked me into 2 additional due to my puic speaking. Due to roughness in deadly triangle area nose is dry and I wins up mouth breathing. I need dentist bad.Between teeth and botched stomach surgery Ido t know what is worse. I think the teeth due to distortion and swelling. Anyone have a good honest dentist in 08723 area. Pain from mOlars in my neck. All food tastes terrible, sensitive on every tooth, sPices or pepper feels gritty and I can it swallow. The seeds of a tomato won’t go down. Anyone know of what to do? No I am not psychotic this is not a joke. are you ok Susan? i came across this article because i’ll need to get a filling done tomorrow. it sounds to me that you need help asap. No, all teeth cracked and Hygenist said stains on back of 4 front teeth is the sentinel exposed. Pain all thru face and neck. Swollen lips, all sensitive. I have food sticking to all surfaces. Air hurts all teeth. Don’t know what I can do. Would like them all pulled if pain would disappear. Do you know if lasers would help with sensitive teeth. I had this technique carried out on one of my molars last year, recently I have been experiencing pain and extreme sensitivity in that particular tooth, also the pain radiates to my lower jaw and eye socket could this treatment have side effects later on. Dentists will not treat me even though I am in total pain with all my teeth. They are sensitive to even air.. Have holes in teeth, cracks in many, crack in my porcelain crown. Last periodontist told me to brush often and scrub between teeth to break up tartar. Had cleaning and tartar immediately forms. Dryness, pain killing me. Cannot chew. All are thin, last periodontist scraped at them, poked in the holes and pain going thru my head and jaw. I need immediate care. He said the lines are from braces i had and i never had braces. Will pay for treatment. I may be a victim of excessive exrays as 4 sets of full mouth in less than a year. Last holistic dentist (not real holistic as he does route canals) wanted his own set as the ones in Jan he said he. Annoy see cracks). Ole. Your eyes. I expressed concern about them and he said minor. Just found he got new digital machine and probably needed help to pay it off. I need help and a dentist in the 08723 or 4 zip code. The pain I am in has altered my appearance and makes me look retarded. Neck is swelling and skin deterioration as it just peels. Can they taste for radiation Poisioning as I am dry internally and externally and losing my hair. I recently got braces. They used the light and it was on my lip a little bit. It didnt feel like it was burning to bad. But now i have a GIANT blister on my lip. I feel that my dentist didn’t use the light-curing on one of my crowns, and it has been feeling weird. It feels really weird! Hate it! Help! He forgot to light-cure one crown.Please help!!! LIght-curing is suppose to harden and bond the tooth and crown together. Help!! What do you think? Last dental visit she did a laser treatment around gum lines on all teeth. Now have canker sore on palate upper left that won’t go away. Can they laser a tooth to decrease sensitivity. Told that dentin exposed on backs of front teeth. Tongue has grooves and is white. Difficult to chew and all food and beverages cause pain. Touching face hurts. What new treatments can be done for dental pain. Hygenist mentioned laser consult with dentist and she offered no hope only to see other doctors incl chiropractor. I am at wits end. Food taste terrible, grinding food and it still sticks to teeth. I recently watched my 4 year old get a filling. I sat next to him during the procedure and watched everything. I am concerned because I stared at the blue light the entire time-maybe a minute. Later the dentist said, “oh don’t look at that.”. I am mad she didn’t give me eye protection. Would staring directly at the light for a minute cause damage to the retina?? It was at least a minute. Hi Kristi – You would probably see “spots” in your eyes if you were looking directly at it, similar to what you’d get by looking at the sun. During the procedure, the light should have been directed right at your son’s tooth, so you were probably just looking at some of the scattered light. Looking right into the curing light would be uncomfortable since it is so bright. I doubt it did any harm if it wasn’t uncomfortable, but I’m not an eye expert. I hope that helps – Thanks for your comment! Thank you Tom! No my eyes never hurt but now I notice some floaters/black specks (minor) in my central vision. I hope it’s not related. They may have been there before and now I am just paranoid! Either way, I made an appt. with my optometrist to rule out any damage. I hope he will find nothing unusual and I will get some peace of mind. My son had to go in for the second tooth (poor guy) in another week. This time i will not look at the light! I recently had a chip in my front tooth fixed for my wedding pictures and they used the blue light to cure. My concern is that it got really hot and once the dentist finished the curing (the light touched both top front teeth) he proceeded to point out that I have very noticeable lines in my top fron teeth. I have never noticed them before and can’t help but wonder if the light might of cause my teeth to crack. Have you ever herd of this? Now I will most likely have to get veneers. I went to another dentist who referred me to an oral pathologist. I am at wits end with swelling and pain and my speech is being affected. Throat is raw. Live in NJ anyone know of who I should see. Pain excruciating. Found oral pathologist but she did not have practice as she teaches in Cornell University. She referred me to oral surgeon and neurologist in NYC. He told me I am a victim of medical malpractice with all these dentists who said they need their own exrays. Had 3 full sets this year—be said to much radiation. No wonder I am this way. He will be making a full report saying the teeth have crazed lines (these hurt) craze lines don’t cause sensitivity. He says the see thru areas on teeth not just on tops and sides of every tooth ate normal. I can’t keep them clean and my lips are parched. After pressing my face and neck so red, cannot eat or drink without pain. Voice is scratchy, hoarse, pressure high. Teeth sharp. Anyone else have an expert dentist I can see?? In NJ. Anyone else a dentist I am suffering, my fillings all blackened, the white ones look like shark teeth. Food sticks on all teeth. have u read any research work that these light are not dengrous…..
have to do this while whitening? I have had this light used on a number of teeth. Yes the light can hurt and have felt the areas around the the tooth they were working on can get really hot and uncomfortable. The question that Ive been wondering about is if there is a limit to how much they can fill at a time that when they cure it to ensure that deepest part of the filling is fully cured. I had a 2 seperate surface filling done 21-b, 21-o done 9 months ago and now the filling is seperating from the tooth. by the way aftering see the dental assistant look away when she shines the light I personally close my eyes when it is on, even though the light is shining inside my mouth. If there is a bridge over titanium dental implants in the lower jaw, is it contraindicated to use the blue light for dental white fillings of the front teeth? Sorry, I meant front upper teeth..
Had implant put in front and dentist used bonding and curing light. I seemed to feel a weird sensation on my lower lipin the direction of the light. Today that part of my lip is swollen and has what feels like a knot inside my lip. Could the light have csused this? Hi all, still suffering with teeth. Facial pain. Ready to go to hospital as I think it is facial necrisis. Sure I had another cleaning with lazer treatment. Pain unbelievable. Dr. Sirois in NYC never responded with treatment plan from 7/18 visit, I had such high hope. Neck swollen face red pain in all my bones. Please someone out there how can we check for osmylietis if jaw. Was on triage app and saw infection from one molar and all my teeth painful. I am in NJ in the area that was hardhit by Sandy. Please I can still travel. Anyone know where I should go. Was on fungus medicine and did not have pain relief but noticed skin rashes on face calmed down. My face just is so dry as well as mouth. Susan, it could be your thyroid. Some of what you describe are symptoms of thyroid disease. A lot of it is not even about your teeth. Does thyroid disease run in your family? Do you already take thyroid meds? If so, you may need your dosage adjusted. I recommend stopthethyroidmadness.com for patients who need help. Ironically, Sharon calling you psychotic is a red flag for thyroid disease. In the past (and still now, IMO) people with undiagnosed thyroid disease were thought to be crazy and many were committed to mental institutions. I broke a bottom front tooth about 10 days ago, Three days later, I seen the dentist who said he had it on my chart from 2 yrs. ago that I needed a filling in that tooth. I have no memory of being informed of this. He proceeded to numb me and fill it…he did not tell me when kind of filling but it looks like my other teeth, he used a blue light , etc. He proceeded to buff the front of my tooth. After I got home, I realized the inside of my lip was very rough (he had used nothing to protect my lip but just worked around it) and when the numbing wore off, I found little pieces of skin stuck to my tongue. Eventually the inside of my lip healed. But, I still feel the back of my tooth is rough. I’ve brushed hoping I can make it smooth. It’s now at the point that the tip of my tongue is getting sore as it lays right against that tooth. Also, at one point, he was waiting and watching the t.v., made a comment that I thought he wanted an answer, tried to speak and he told me to wait as I had acid in my mouth. Yet, earlier, when drilling, they did very little suckage of saliva and once when I wiped my mouth with a tissue, he told me I could swallow as it was just water. What do I do? I have an anxiety towards dentists and this guy seems to have an attitude towards me and downs me in little ways. I would have walked out on several visits but where would I go? Please advise me…..Linda in Md. Hi, I private messages you but the acknowledgment email suggested putting the question so other users can see it so sorry for the duplication! I went to the dentist today to get my wisdom tooth taken out as it had a hole in it, but was causing no pain. (Just annoyance as it was sharp) When I got there the dentist said shall we just put a filling in instead? I didn’t know which was better so I said I don’t know and he said its up to you but a filling will suffice if there is no pain, so I said ok. He did the filling but didn’t use the light, or paper to bite down on. When I got home I realized he hadn’t used the light and I tried to find out some information to see if it’s a must or not, but I couldn’t find anything except a single yahoo question with unhelpful answers, and this article. Any advice would be appreciated. 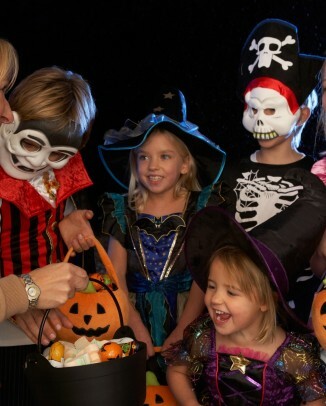 Hi Susan – If he used a silver filling, that would not need to be cured with the blue light. 1 – Usually the teeth are very difficult to access in the back of your mouth and would be very hard to keep perfectly dry (which is required to get a white composite filling to glue to the tooth), and it’s not as necessary for a silver filling. 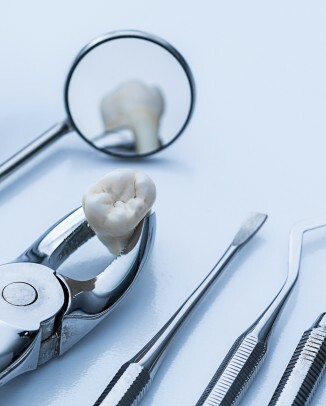 2 – On a tooth that far back, it won’t be seen and silver fillings do a pretty good job withstanding the extreme forces that will be placed on it being all the way back in your mouth. I hope that helps. If you’re curious, you could get in touch with your dentist to see what kind of a filling she/he did, or it may be on your bill/statement. I hope that helps! I had got braces 5 years back and got removed them in 2 years of duration. What i noticed was black or darkened gums after one particular session. 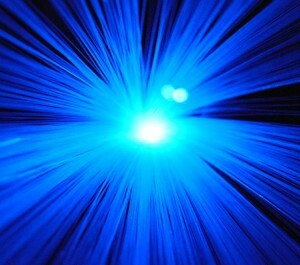 It was long time back so i am not pretty sure about that but i strongly suspect it to be a side effect of blue rays. Darkness is present in periodontal region, uncovered by mouth opener, to be precise – in the area only which might have got exposed to blue rays. Gums above and below it are spared and are healthy. I dont have pain on bleeding or other unusual symtomps. But i am really considering dark gums, i searched a few articles but cpuldnot find any evidence of the same. I would like to have your views for the same It would be of great help to me if you can find time to answer my question. Some of what you describe are symptoms of thyroid disease. A lot of it is not even about your teeth. Does thyroid disease run in your family? Do you already take thyroid meds? If so, you may need your dosage adjusted. I recommend stopthethyroidmadness.com for patients who need help. Ironically, Sharon calling you psychotic is a red flag for thyroid disease. In the past (and still now, IMO) people with undiagnosed thyroid disease were thought to be crazy and many were committed to mental institutions. I thought for sure it was an infection and knowing my luck it would need a root canal. So I went to the dentist this morning in a lot of pain. He took an x-ray and I was expecting the worse. He looked at it and then told me there was nothing wrong with the tooth! No abscess, no infection, and no crack. He then looked closely at the tooth and asked me what it felt like. I told him it felt like pressure under the tooth. He told me my “bite” was off. Meaning that my old filling was sitting up too high so every time I would bite down my top tooth was pushing down on the filling in my bottom tooth. it’s useful! thanks for sharing. and i also want say thanks to “samantha” The recommendation is very helpful. we brought one curing light on dentalequips last week, it’s the blue light i prefer and i will write more feedback after 1 month use. My child’s dentist recommend sealants. Which kind of protection she would need to protect her eyes during procedure? Is regular sunglasses are enough or she would need special type of glasses? I will be with her during procedure, and I might be pregnant. Is blue light safe for unborn baby? If the assistant does not shine the blue light properly when the filing is being put in by layers, will they harden by themselves over time? 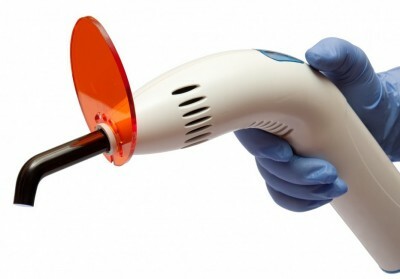 Does the curing light have any effect on lupus patients? Since we cant be in the sun? Hi. I just got my braces again. I had it removed 4months ago then put it back recently. They used my old bracket again and used the so cold light cure and made my bracket appear dark, is there any way that can remove the stain? For braces what material is it which the Curing light is used to harden? is it the adhesive which is bonded to the bracket? I had a white filling today and they used the blue led light, is this dangerous to use while pregnant as i am 15 weeks gone. How long should the blue light be used to cure teeth. Is there a protocol for fillings and crowns? Can the heat from the blue light cause damage if it gets real hot? Great information. I was always curious myself to if blue light curing was damaging to your health? I definitely acquired more knowledge about the properties about blue light curing. Thanks for the post! When getting a new permanent retainer on my bottom teeth the assistant bumped the curing light edge on the top of my tooth and now it is highly sensitive. Biting anything is extremely painful and cold air causes sharp pains as well. This was only done yesterday. Would the pain dissipate or should I be concerned? What happens if the blue light is pointed at your heart? And if removed all at once? I have a strange question . I went to the dentist because i had broke a tooth that had a old cavity in it . The dentist built up the tooth for a temporary cap until the permanent one was done . For some weird reason while he had the blue curing light on he had turned to look at something on his counter behind him . When he did I noticed he had the light still in his hand a pointed close to my head . I have had a headache since that visit and its going on week 3 . Soon I will be back for the final cap . I think the light was at my head for about maybe 10 secs or so . I’m hoping I don;t have a fried brain . It didn’t seen hot thou , like I think it might of been a LED blue curing light. Any help would be great for I really am freaking out . If the electrical supply to the dental curing light is interrupted by dead batteries or the like, will the curing on composite be affected by this happening? 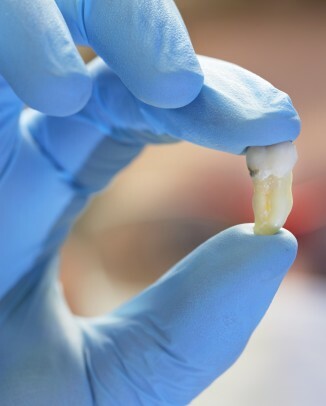 How can you tell if your dentist cured your composite resin correctly and it is cured all the way? Good day. I went to the dentist recently and the gun came in contact with my nose. Since then my nose got blistered. That was three months ago and it’s the same today. Hi, so I just had a filling today and I’m pretty sure this is what came into contact with my lip and burned a hole in it. A good chunk of my bottom lip is missing now and there was a lot of blood. My question is does this cause permanent damage? And how can I heal my burn caused by this UV light? I am a dental school student from Paraguay, I have a question that my professors couldn’t really answer that. It is about the color glasses to filter the curing light. I was always been taught that the operator should wear “blue blocking” eye wear, which it always indicates the orange color glasses. However, I have read not long ago from 3M’s product catalog that the yellow/amber color eye wear is the one recommended for dentistry. I have looked up in so many places to clear up that doubt but I can’t find any that explains it with certain, so far. Some say that the orange color is more preferable than the yellow one, why? I don’t know. We know that the orange color glasses filters green light, not blue, and the yellow color filters blue. Then, why orange? Please, if you know the answer for this question, tell me and explain it to me. I went to the dentist and he put a sealant on my tooth and used the blue light to cure it, if felt really hot and caused pain that was unbearable and I had to stop the dentist, he said that it was probably on the gum and instructed the dental nurse to reapply it, she did and it hurt again. Since then 25 Jan 2017 I have had constant pain in that area every day. Do you think that the blue light may have damaged my tooth? I have had the light curing fillings before without any problem. However yesterday I had the lovely gut put in my tenth and did feel pain twice, I mentioned this to the dentist who could t understand why. It transpired that I may have a crack and the filling needed to be removed but had gone into the pulp of the tooth so maybe this is why the light hurt?